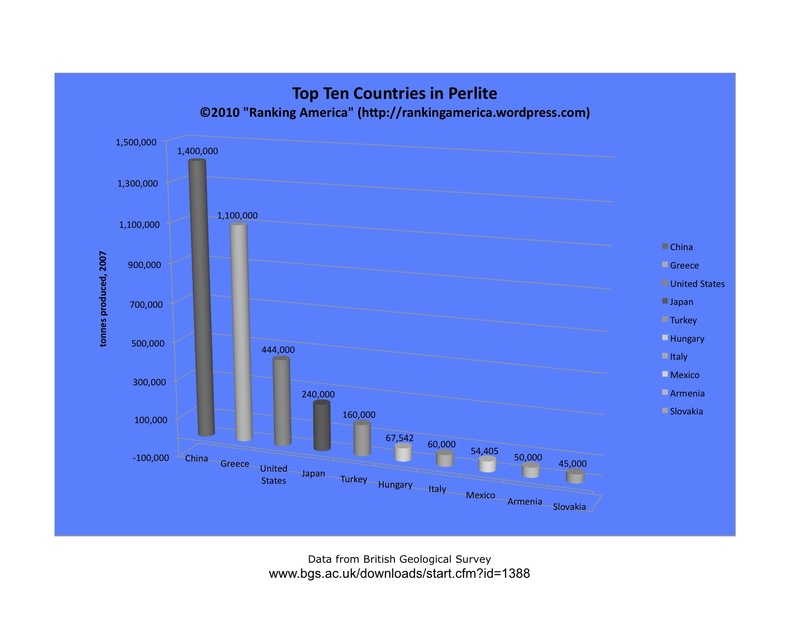 According to the British Geological Survey, in 2007 the United States produced 444,000 tonnes of perlite, which is enough to make the United States rank third in that category. 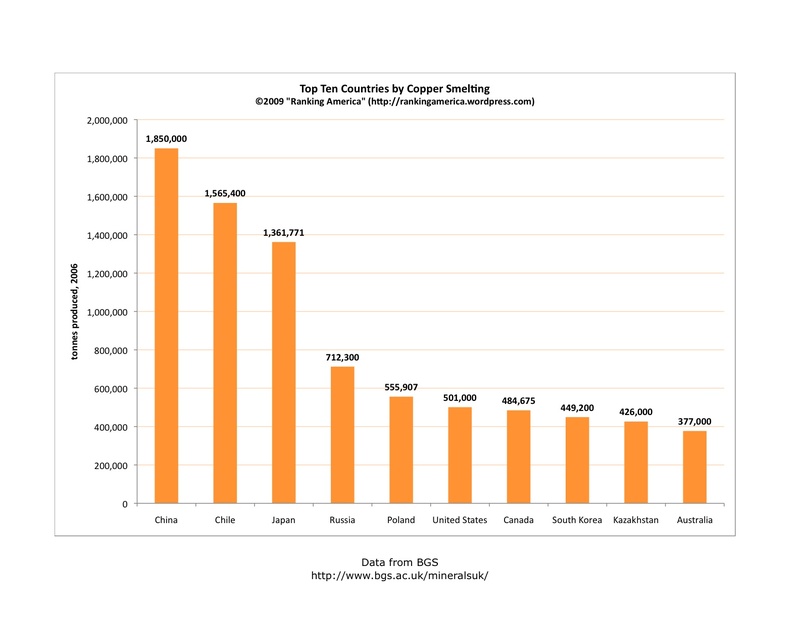 China ranks first, producing 1,400,000 tonnes. 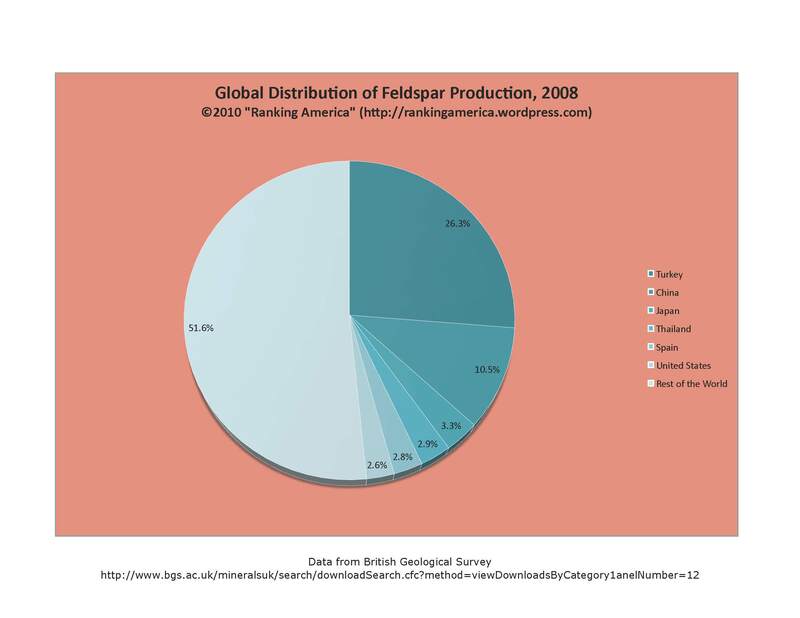 According to the British Geological Survey, in 2008 the United States produced 600,000 tonnes of feldspar, or 2.6% of the world’s total feldspar production, which makes the United States rank sixth in that category. 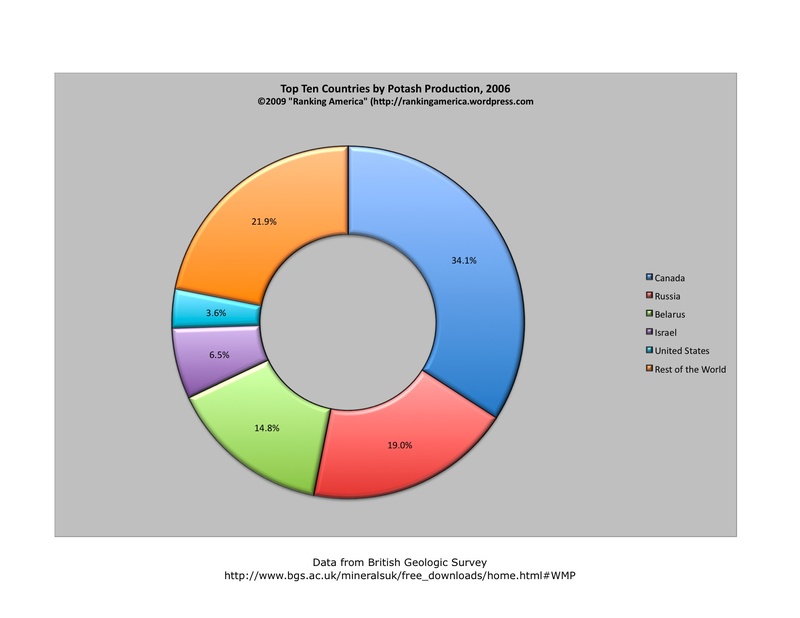 Turkey ranks first, producing 6,000,000 tonnes, or 26.3% of the world total. 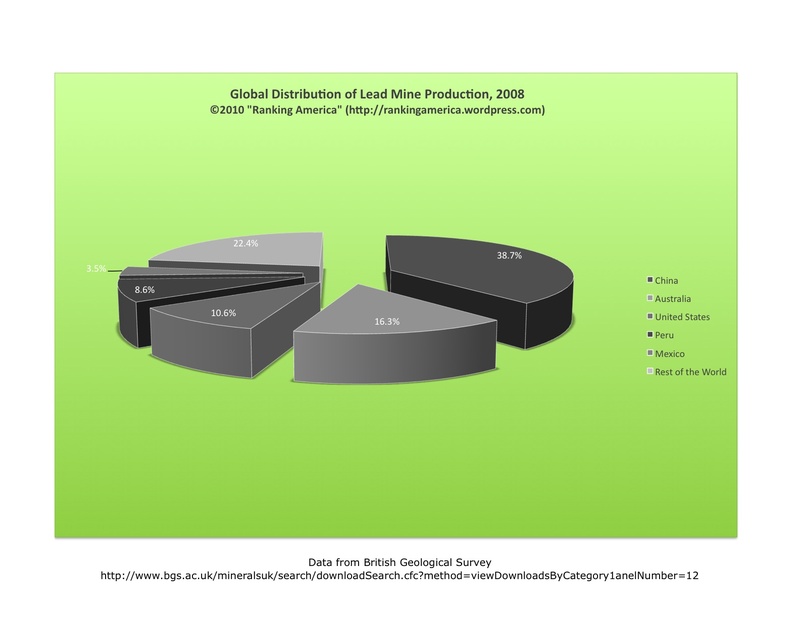 According to the British Geological Survey, in 2008 the U.S. produced 423,000 tonnes of lead from lead mining, or 10.6% of the world’s total lead mine production, which makes the United States rank third in that category. 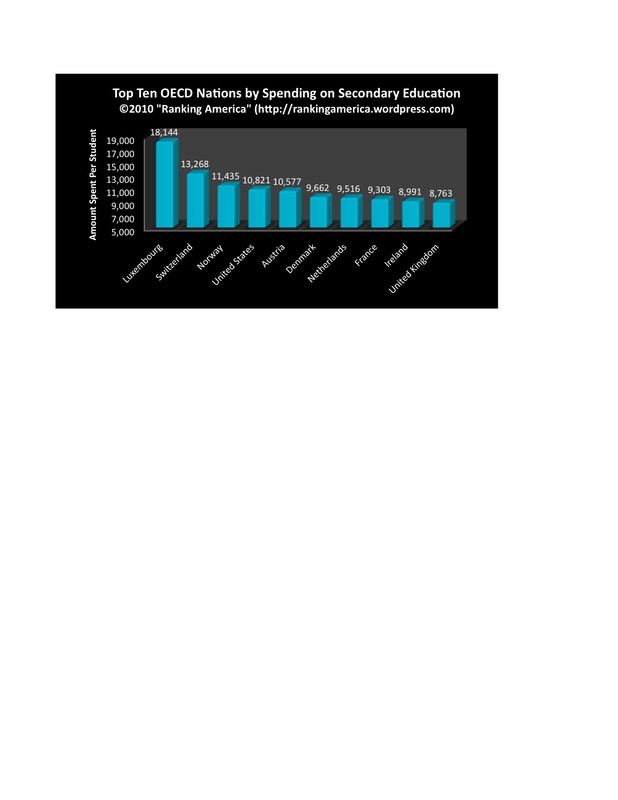 China ranks first, with 1,546,000 tonnes, or 38.7% of the world total. 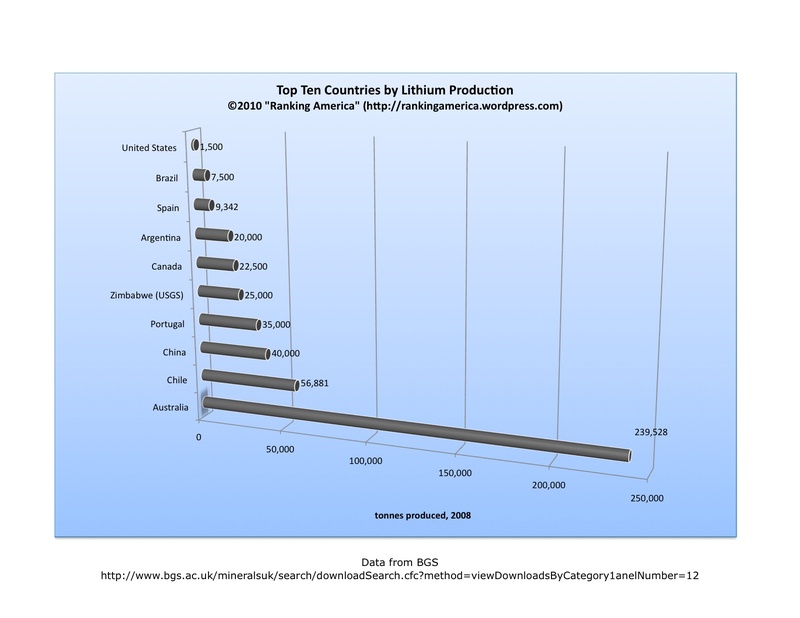 According to the British Geological Survey, in 2008 the U.S. produced 1500 tonnes of lithium, which was enough to make the United States rank tenth in that category. 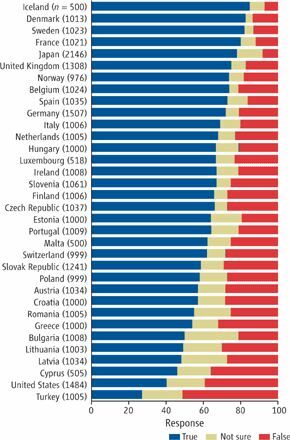 Australia ranked first at 239,528 tonnes. 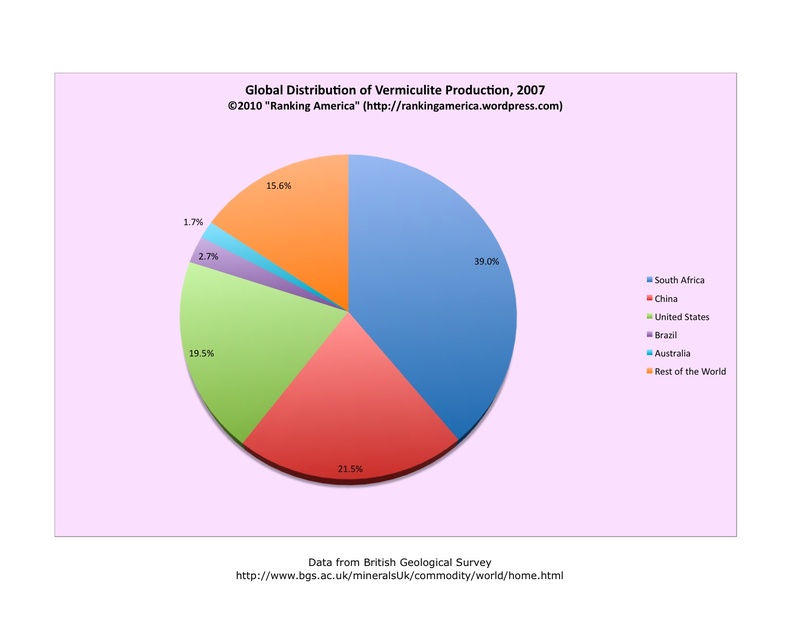 According to the British Geological Survey, in 2006 the United States produced 1,200,000 tonnes of potash, or 3.6% of the world total. 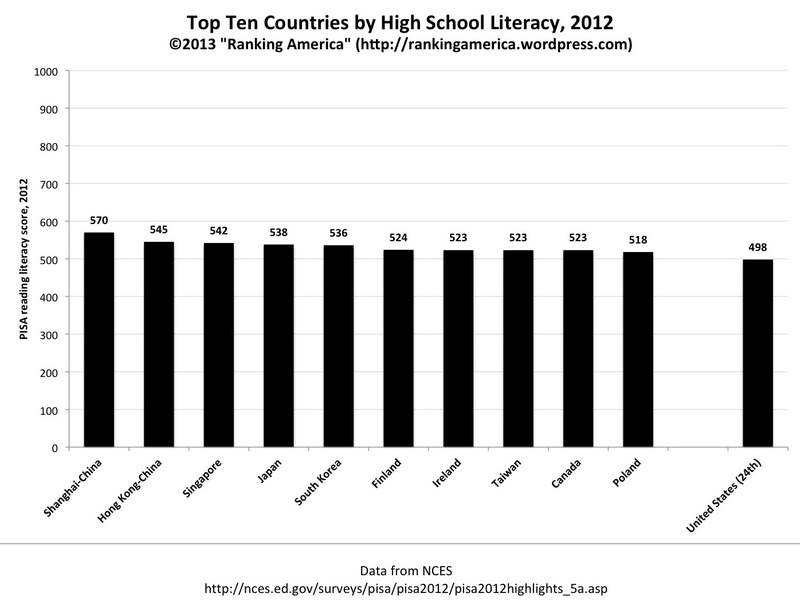 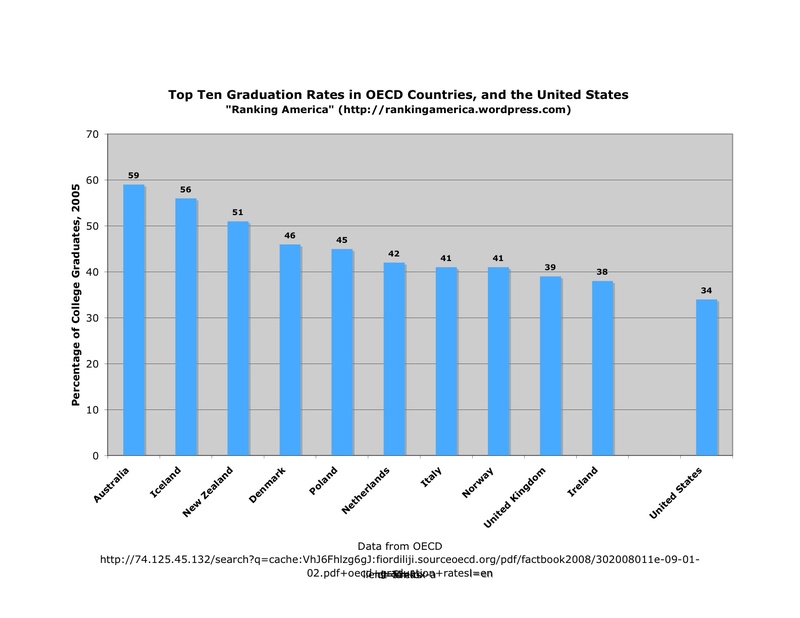 That was enough to make the United States rank fifth in that category. 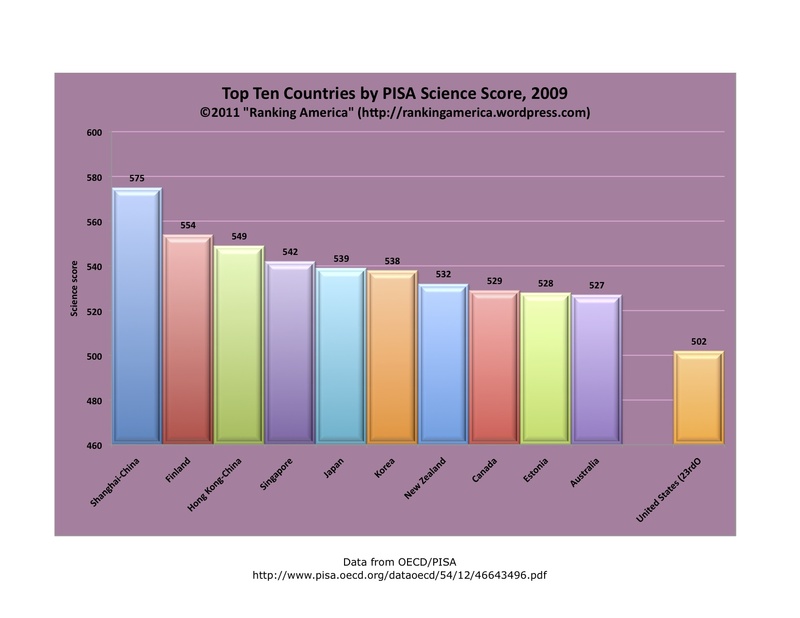 Canada ranked first, producing 11,426,000 tonnes, or 34.1% of the world total.